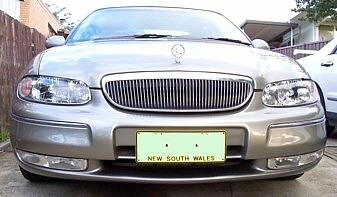 Discussion in 'VT - VX Holden Commodore (1997 - 2002)' started by thekow, Jul 23, 2006. WTF does that mean coz thats like code 110 + code 12 ? if so what does that mean? I've got no idea what that means, it certainly doesn't sound right.Try resetting your ECU and see if you get code 12, 3 times. Reset by disconnecting negative battery terminal for about a minute or 2. I've posted the same thing a couple of times in the past year with no luck. I get exactly the same codes. My car runs fine but I'd like to know what the code means. Dr Bob have you heard of this? yes i reset the ECU (took the positive terminal off for about 3 mins) still does the same flash combination , did i reset the ecu right? Yes you reset it right, so I haven't got any other suggestions except have it checked out if it bothers you. If your cars running ok I wouldn't worry too much. One more thing, my workshop manual recommends disconnecting the negative battery terminal, probably less chance of doing damage. how are you flashing these out? I get the 110 code by bridging pins 5 & 6 in the port under the steering wheel. Everytime I do it I get a code of 110 followed by a code of 12 and it keep repeating this sequence. Resetting the ECU doesn't help even if I don't start the car after resetting. myberlina BAD COP! NO DOUGHNUT!!! Same thing happened to my VX while driving back home on Christmas Day. It also kept disabling the cruise control on the highway without warning (much to my annoyance and those behind me ). End story was the traction control. Took the plug off and blew the absolute crapo out of it and NEVER seen the problem since but seeing as how your DTC are now normal perhaps they looked at it also during your car service. I've been trying to find out about this for a year. I rang holden a while back and they said they didn't have a clue and I'd have to take the car in to them. Thanks tiger where abouts is the plug for the trac control? I will reset the ecu again and see if it decides to play up , it hasn;t done it since the first time so no idea.